to the 15,000+ flight plans at SimAtc.com, and that's just one site. Another example of copy/paste using a link to the Avsim Flight Plan forum. flight planning website you wish. You can use external Flight Planning web sites such as Davide Giacopello's RouteFinder website. the ScratchPad tab and paste the route into the Fsbuild-2 scratchpad. the coded flight plan box awaiting your start of the Build process. two programs when you can get the same job done with one. and change. Categories can be user customizable. the categories for Flight Plans by departure/destination city name or ICAO airport code. 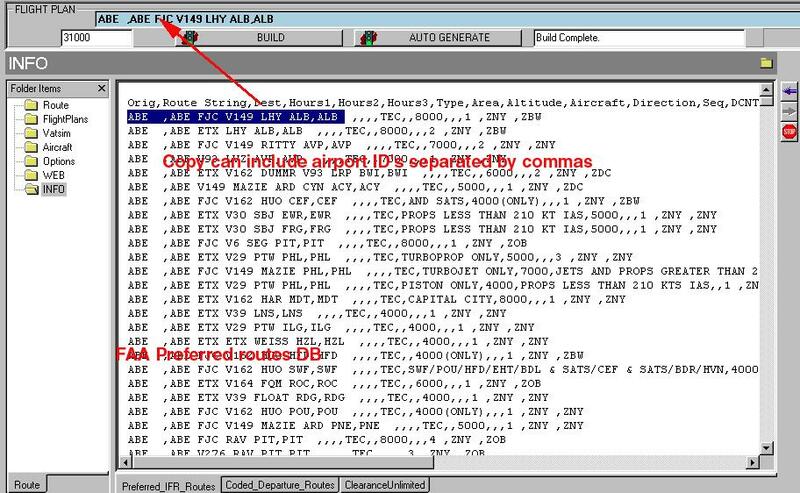 FAA Preferred IFR routes can be easily inserted into Fsbuild via copy/paste. 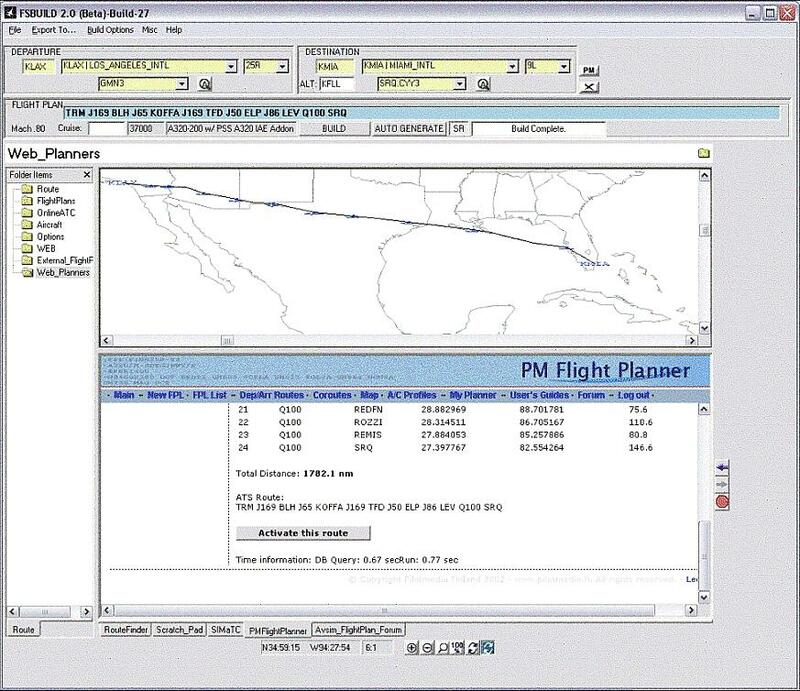 Flight Plans can be quickly exported to various GPS/FMS formats.